Check out the itineraries for our trips. A picture is worth 1000 words. Take a look at the photos from our international experiences. At HCIS, we value other cultures, and we seek out partnerships with schools and organizations around the world. We encourage our students to take advantage of international opportunities to enrich their education (through pursuing studies abroad or through other cultural experiences). We also welcome foreign exchange students to HCIS each year. Harbor City will be venturing off to Berlin April 1-9. The trip is open to all sophomores, juniors, and seniors. The cost of the trip is $2,800. We will be seeing the major sites of Berlin like the Brandenburg Gate, the Television Tower, the Berlin Wall, the Holocaust Memorial, and much more. We will also take day trips to the countryside, to Sachsenhausen Concentration Camp, and the Potsdam Castle Sanssouci. For more information, please email Mrs. Furchert or visit the Berlin trip website. Coupon Books: Students are selling coupon books for $30; they contain $50,000 in savings! Soup and Salad with a Silent Auction: Come early to the Arts Night for some soup and salad. Prices are $5 for one serving and $8 for all-you-can-eat. Each spring, Harbor City International School travels abroad. The trips generally range from $2,000 to $3,500; however, the students put in a lot of time and energy to raise funds, so they are not paying for the trip solely out-of-pocket. In 2010, HCIS went on a ten-day educational trip to Iceland and Berlin, Germany with a short, afternoon trip to Poland. While in Berlin, students traveled to the countryside, and they spent a day attending the Johanniter-Gymnasium of Wriezen, a German charter school, where they built friendships and relationships that are still evident today. In 2011, students went on an educational seven-day trip to Rome with a stop in Washington, D.C. on the way. The students studied Roman history while visiting the Roman Forum, the Colosseum, the Vatican, Osita Antica, Orvieto, and numerous other sites. In 2012, students went on a seven-day trip to the German and Austrian Alps. While on the trip, the students visited the Dachau concentration camp, Munich's city center, Neuschwanstein Castle, Garmisch-Partenkirchen, Innsbruck's city center, the famous Golden Roof, Mittersill Castle (where we stayed), an underground salt mine, Salzburg, the Hohensalzburg Fortress, and much more! Feel free to look at the pictures and the itineraries located on the left sidebar for more information. In 2013, students soaked up the February sun in Costa Rica while attending a language school and visiting the major sites. In 2014, HCIS headed to France as the students spent a week in Paris and then traveled in the Northwest of France. In 2016, HCIS will be going to Berlin! 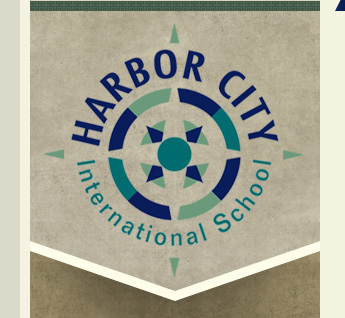 If you would like more information on Harbor City International School's abroad trips, feel free to contact Mrs. Furchert. Each fall, Harbor City celebrates its cultural ties to the world with its “International Night.” While enjoying their international dinner last fall, students raised $215 for Unicef’s Schools for Africa. The night also included entertainment from the HCIS African drumming team, a Korean swords demonstration, and an education comedy routine by Michael Furchert, as he compared his life in East Germany to his life in America. Check back in September for next school year’s event! International Club meets in room 310 every Monday from 3:10 to 3:50. Come enjoy snacks, games, and speakers from around the world. 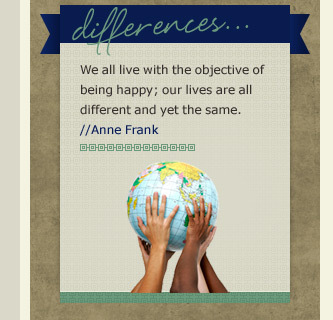 Broaden your horizons! HCIS students attended the Enger Tower dedication ceremony with King Harald and Queen Sonja of Norway! On October 17, students from Harbor City lined the path as the king and queen of Norway walked to rededicate the Duluth landmark, Enger Tower. Some of our students also attended the ceremony at the Sons of Norway Hall in downtown Duluth.